Business Directory - Products, Articles, Companies 7 Amazing Things To Keep In Mind If You Love To Straighten Your Hair! Who does not like straight hair? Well, at least we all surely do. Yes, beachy waves, beautiful braids and voluminous curls are in trend nowadays and have taken up the runway glam to a high peak, but the sleek and straight hair will always be the BAE. Straight hair is the perfect look to carry when you are going to hang out with friends or even a traditional occasion, this hairdo can make you look beautiful at every occasion. Well, if you are also a big fan of long, sleek, healthy and straight hair just like we are, then you are at the right place. 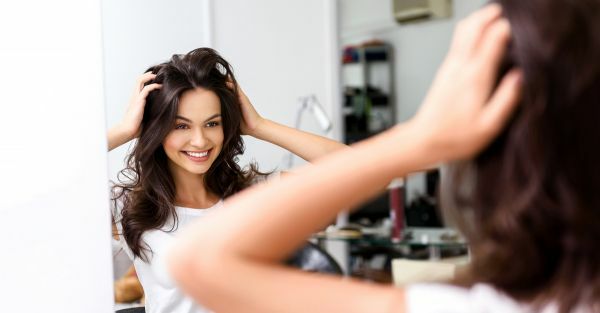 In this article, we will be telling 7 amazing tips that you need to keep in mind if you love those healthy, sleek and straight hair. Here have a look at the article to know the details! Want to make your hair straight, long and healthy? Here are some amazing tips that you need to keep in mind to get that healthy, sleek and straight hair. Never use a round brush if you want to make your hair strong and straight. Instead of a round brush go for a flat paddle brush that will not break much hair and will give your hair straight look. By switching to flat brush, the ends of your hair will be straight which helps to prevent hair fall. Hair protectants are as important to use as your love for straight and curly hair. No matter if you are opting a curly hair or a straight hair look, you will need to use an iron rod or a flat iron to achieve the desired look and heat your hair which can damage them badly. To protect your hair from the damage, you should start using hair protectant serums or other products that will protect your hair from excessive heat and damage. Heating your hair surely helps to style them but using cool setting and air helps to set the hair in place. Once you style your hair straight then hit it with the cool setting of the hair dryer you are using and set the hairstyle in the place. Be mindful of the shampoo and conditioner you use, and be sure to use a formula that aids in keeping your hair straight. Much like your makeup, a good hairstyle is all about a good foundation. A sock bun of curly hair looks really messy, whereas a sock bun of straight hair gives the perfect look and looks really beautiful. You can do this bun by straightening your hair and then adorn it to classy and professional parties and occasions. We all have a common misconception that says getting keratin done makes the hair straighter and smoother. Keratin only eliminates the frizz and improves the texture, but it is not meant to straighten your hair. But as the frizz gets controlled and the texture improves, so the hair looks a little more straight than what it used to look like. 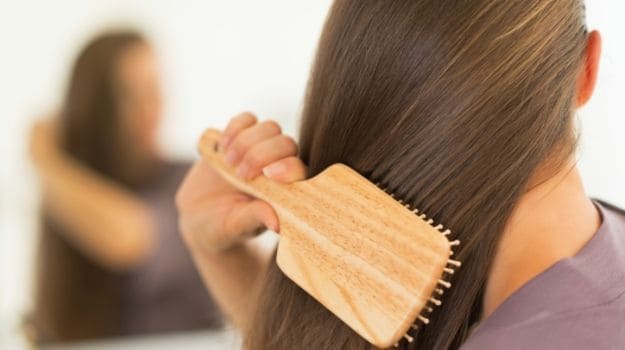 Yes, we all think that keeping the setting of flat iron too low will help to damage our hair very less, but actually keeping the heat too low will only make you get over your hair multiple times or will stay longer in a single section which can cause as much damage as a flat iron with too high speed does. So, instead of keeping the flat iron heat too low, keep in at a happy and medium temperature. So, these were the 7 amazing tips that you need to keep in mind if you love those healthy, sleek and straight hair. Now let us have a look at the steps you need to follow to straighten your hair naturally. Step 1 – Brush your wet hair until it gets dry as it will help to make the hair straight and smooth. Step 2 – Doing centre parting, divide your hair into two sections. Then using bobby pins clip your hair upwards and wrap the wet hair tightly. Step 3 – Using large hair rollers secure your hair tightly against your head. Step 4 – Using a soft hair elastic make two low ponytails in the night and go to sleep. But make sure the folds of the elastic band are loose so it won’t leave any wavy mark on the hair. Step 5 – The next morning open your hair gently and voila you got the amazing straight hair look naturally. We hope all these tips will help you to achieve the desired straightened hair.